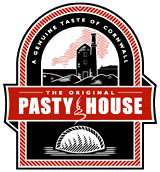 Carruthers and Hobbs has created the identity for The Original Pasty House, a Cornish pasty restaurant and take-away opening in September in North London. The consultancy was briefed to reflect the wholesome and authentic nature of the pasties, which will be baked daily on the premises. 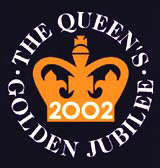 The logo incorporates elements traditionally associated with Cornwall: a tin mine, a map of the county in the background, a Cornish pasty and lines of poetry written in ancient Cornish. The logo has been applied to all signage, staff uniforms, stationery, carrier bags, menus, cups and serviettes. Interiors have been designed in-house. The Original Pasty House founder Mike Gray has plans to roll out the concept at as-yet-unnamed sites in central London, following the launch of the Harrow outlet next month. Carruthers and Hobbs won the business on the strength of previous work for the client.